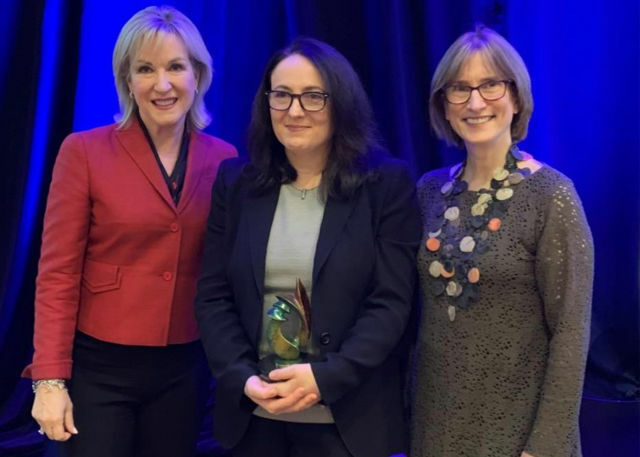 The Charles & Margery Barancik Foundation recently awarded its Barancik Prize for Innovation in Multiple Sclerosis Research to University of California professor Katerina Akassoglou. Akassoglou's work focuses on understanding the origins of nerve damage in multiple sclerosis and identifying potential therapies to prevent it. The prize was established by the Barancik Foundation to inspire original ideas in stopping the disease. The annual award comes with $100,000 to be used at the discretion of the recipient. Akassoglou is the sixth recipient.